There are so many myths and misconceptions about haggis, we’d like to make sure you have all the facts before you try this classic Scottish dish. Don’t forget you can buy and book your Burns Supper delivery today (up to 6 months in advance). It’s the only sure way to guarantee you’ve got all you need for the big night. And remember, we deliver throughout the UK, Europe and overseas. What is haggis made from? Haggis comes in two forms – a traditional meat variety and a vegetarian variety. Traditional haggis is made from the finest lamb, beef, oats, onions and spices. It’s a great source of iron, fibre, and carbohydrate with no artificial colours. Vegetarian haggis is a combination of healthy fresh vegetables, mushrooms, pulses, oats, onions and seeds. It is approved by the vegetarian society, is suitable for vegans too and meat lovers like it too. Legendary haggis producers Macsween present their haggis in a sausage skin. Stalyh haggis is also in a sausage skin but it is then placed in a can for easy transportation. Grants preserve their haggis mince in a tin. Imagine an oaty, spicy mince and you’ll not be far off. For traditional haggis that it. Macsween is currently causing a haggis evolution with new flavours like wild boar haggis, three bird haggis and venison haggis. The number of people who buy haggis has been steadily increasing since the turn of the century. It is legendary haggis producers like Macsween, modern creative chefs like Thomas Kitchin and Shirley Stear, plus savvy eaters like you who have added fire to the world’s passion for haggis. Haggis is a 21st century super food. It is full of warm, earthly flavours that tantalise the tongue and make it an excellent dish with neeps and tatties, if you wish to be traditional. And it can also be served in so many other ways. Why is haggis served on Burns Night? One of the greatest misconceptions about haggis is that it was created in Scotland. Haggis is actually a very ancient dish. Hunters throughout Europe and worldwide prepared meat in this traditional way. It only became closely associated with Scotland in the 18th century, and because of the writings of Scottish poet, Robert Burns. 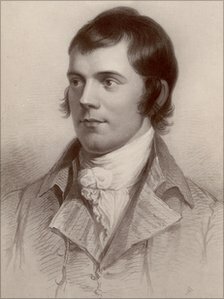 When he wrote “Address to a Haggis”, he had no idea it would be repeated around the world every January in his honour. But in 1796, after his death, his friends organised a Burns Supper to celebrate his life and works, and the tradition continues to this day. Burns unwittingly elevated haggis from its humble origins. No wonder Macsween likes to think of him as the patron saint of haggis. While the 25th January is an important date, haggis can be enjoyed at any time of year. 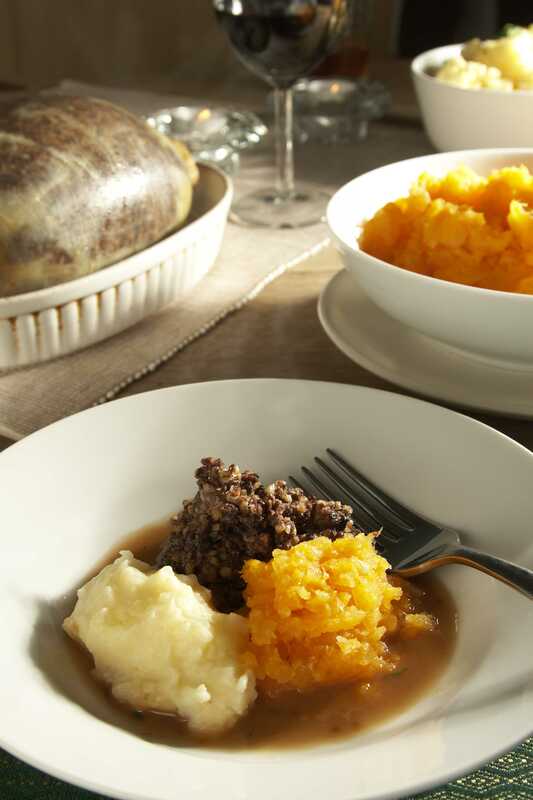 Take a look at our haggis recipes. There are sure to be some tasty ideas waiting for you there. Can you buy haggis if you live in the UK and Europe? Oh yes, we love to share delicious haggis where ever we can. Check out our delivery guide. Need help? Just give us a call on 01360 440066. Posted in Haggis, News	haggis Burns Suppersvegetarian haggiswhat is haggis? 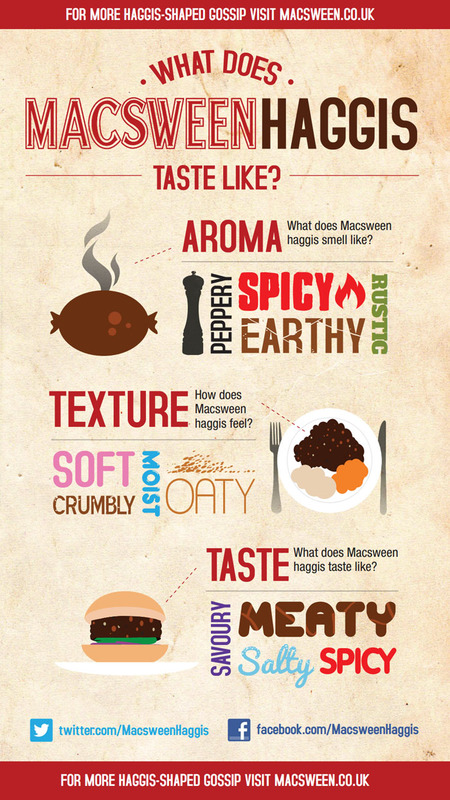 Next > What does Macsween haggis taste like?